Baked goods are once again on offer at the former Red Door Bakery site on Elizabeth Street, Croydon, courtesy of new tenants Abbots & Kinney. Abbots & Kinney’s founder, head baker, and soon-to-be gelato-maker, Jonny Pisanelli, is not long back from a short trip to Italy when we meet him at his business’ latest outpost. The corner of Elizabeth and Robert Streets is buzzing, as the Croydon café-hopping set welcomes its newest member. Whatever nervousness Jonny felt prior to opening – having taken the lease of the much beloved and sorely missed local icon, Red Door Bakery – seems to have allayed. “There’s always going to be that sense of, are we going to live up to the expectations of what people have come to love,” Jonny says. 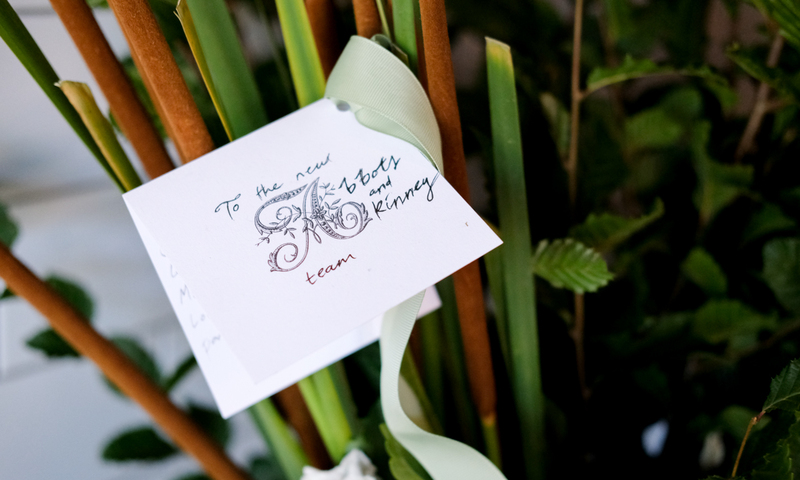 “There are a lot of people in the area who know what Abbots & Kinney is, but there’s even more that have never even heard of us, so of course there’s always that risk. By the early afternoon, when CityMag arrives, the pastry cabinet is mostly sold, every table in the space is taken, and coffee continuously pours from the chrome La Marzocco – as warm an embrace as one can ask on a first day of trade. Abbots & Kinney has always been a suburban café at heart, Jonny says, and this is a philosophy that dates back to his days pre-Abbots as From Scratch. At the time Red Door Bakery first opened in Croydon, before Abbots had been conceptualised, Jonny was also vying for the same corner tenancy to become From Scratch’s first long-term home. Red Door won the tenancy and Jonny went on to found his current business with a flagship presence on Pirie Street. Jonny’s interest in the area never swayed, though. “I’m from the western suburbs, so you’re always going to be drawn to your own neck of the woods,” he says. Upon hearing the news of Red Door’s closure in September, Jonny called Gareth Grierson, a friend and contemporary in the tight-knit Adelaide baking scene, to offer condolences and enquire about the future of the Croydon site. “We respect Red Door and Gareth and Emma, and we want to do the right thing by them too, you know? And that’s why, for me, that was the most important thing, was making sure that they were behind it 100 per cent,” Jonny says. 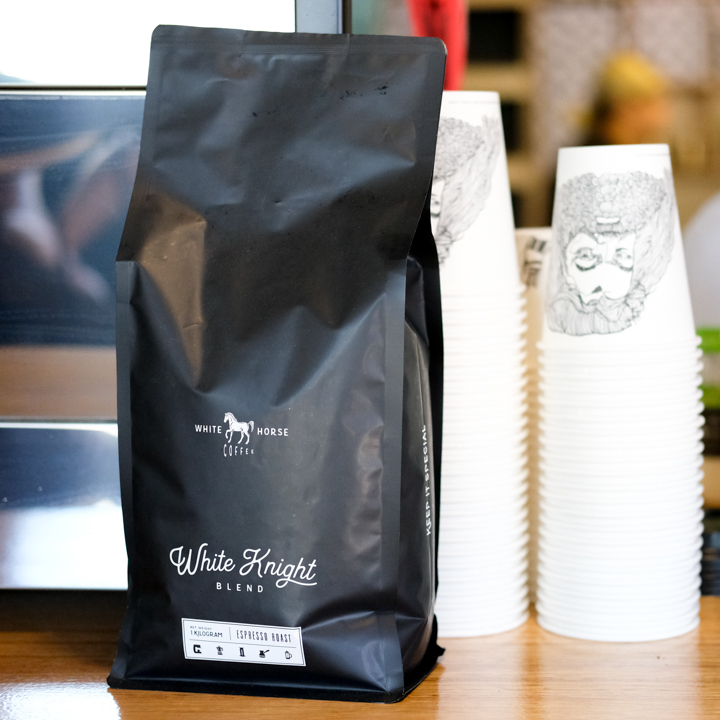 Sydney-based roasters White Horse pours at Croydon. Pirie Street still reps D’Angelo. Abbots & Kinney Croydon will differ slightly in offering to its CBD sister; the coffee on offer comes from Sydney roasters White Horse – who, like D’Angelo coffee, have been “a huge mentor,” Jonny says – and once the weather cools down Jonny will start offering pies, pasties and other hot savoury pastries, which were recently removed from the CBD menu in favour of quicker grab-and-go style items. “People have more time in the suburbs and they want to enjoy something hot. We knew that, coming into it, there’s big shoes to fill with Red Door, so we’re looking forward to bringing that back into our repertoire,” Jonny says. The coming weeks will also see the Abbots & Kinney gelati cart – an adorable portable pozzetti cabinet – debut in Croydon, following the seven-day intensive natural artisan gelato course Jonny undertook while in Italy. “Obviously you want to do it yesterday, because it’s perfect weather for it, but at the same time I want to make sure it’s on par with what people have come to know from our pastry,” Jonny says. The Croydon fit out was designed by Crafty and features an open kitchen, creating more interaction between staff and customers, Jonny says. The customer-focussed style of service will be the thread that runs through all of Jonny’s shopfronts. “We’ve always been customer first, get to know the customer, be on a really good first name basis, and that’s what people have come to expect in the suburbs,” he says. Abbots & Kinney Croydon is located at 22 Elizabeth Street, Croydon, and opens from Monday to Friday 7:30am-3pm, and Saturday to Sunday 8am-3pm.